Introduction to Equality Streets - Equality StreetsEquality Streets | Instead of priority, let there be equality. Instead of coercion, let there be choice. Instead of priority, let there be equality. Instead of coercion, let there be choice. This case for traffic system reform asserts the equal right of all road-users to co-exist in peace on roads free of disruptive, anti-social traffic control. With journey times at an all-time high, and over 20,000 human beings killed or hurt on UK roads every year – many of them children – the current system can hardly claim to be a success. We complain about the traffic and blame other drivers, but could the problem be the system itself? 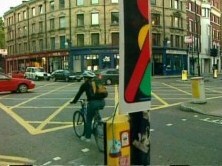 Traffic lights take our eyes off the road, a recipe for danger. They make us stop when we could go, a recipe for rage. They cost the earth to install and run. What happens when lights are out of action and we are free to use our own judgement? We approach carefully and filter sociably. As courtesy thrives, congestion dissolves. 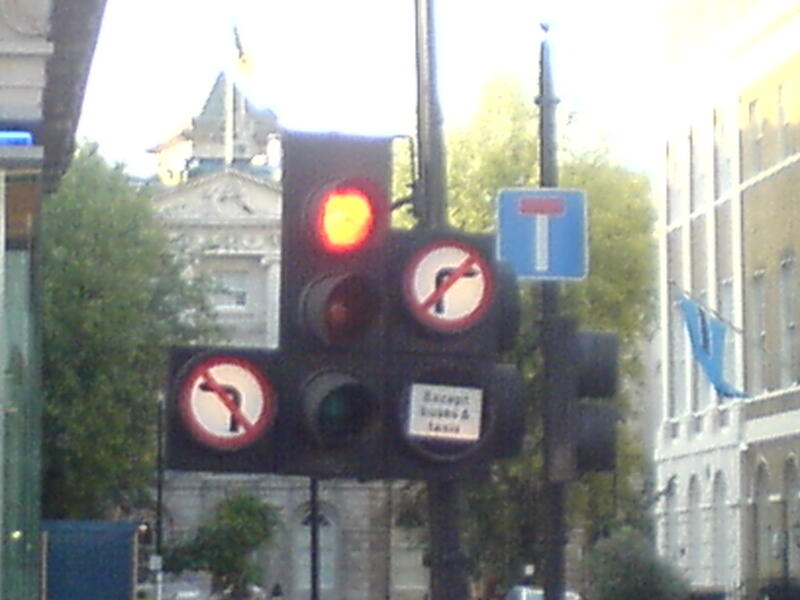 Traffic lights are the most visible symbol of a dysfunctional system. The system is based on a bad idea – priority. Priority imposes unequal rights-of-way. It licenses main road drivers to neglect other road-users, regardless who was there first. “Get out of my way!” yells priority, as it denies infinite filtering opportunities and expressions of empathy. Why do we “need” traffic lights? To break the priority streams of traffic so others can cross. Thus is most traffic control an expensive exercise in self-defeat, a vain bid to solve the problem of priority. The idea that traffic lights ensure safety is a myth. A recent safety audit from Westminster City Council showed that 44% of personal injury “accidents” occurred at traffic lights. How many of the remainder were due to priority? Compiled in the context of priority, the stats don’t tell us. The biggest indictment of the current system? It puts the onus on the child to beware the motorist. It could and should be the other way round. Making toddlers learn age-inappropriate road safety drill – to help them survive on roads made lethal by the system itself – amounts to state-sponsored child abuse. As a basis for road-user relationships, priority is a disaster. It is responsible for untold injustice and harm. They say our personalities change when we get behind a wheel. No, the reason we see red is because we suddenly become subject to a barrage of regulation that usurps our judgement and treats us like idiots. Who is the better judge of when, or what speed to go – you and me at the time and the place, or lights and limits fixed by absent regulators? So the problem lies in the anti-social system of priority which puts us at odds with each other and our surroundings. Priority sets the stage for conflict. It creates a culture of fear. The answer is to change the basic rule of the road from priority (a traffic engineering construct) to equality (a social model). Equality sets the stage for cooperation. It creates a culture of care. A system based on equality removes the “need” for most traffic control, and the need for speed, allowing all road-users to use commonsense and common courtesy to filter more or less in turn, and merge in harmony. “After you,” says equality, as it stimulates empathy and makes drivers see pedestrians as fellow road-users rather than obstacles in the way of the next light. This is no novelty effect, as shown by our lights-off trial in Portishead which went permanent after journey times fell by over half with no loss of safety. In Poynton, accidents simply stopped happening. It works on a macro scale too, e.g. 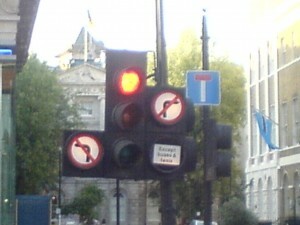 during power cuts across London in 2007 and 2008 when, free of vexatious traffic control, congestion vanished into thin air. In the absence of a bridge, underpass or flyover, let all junctions – and streets and roads for that matter – be all-way give-ways. S/he who arrives first, on foot or on wheels, goes first, more or less. It’s that simple. No high-cost technology or infantilising enforcement is required. It would transform road safety and air quality, and free up tens of billions squandered on traffic control for constructive use elsewhere. Traffic engineers and policymakers like us to think it’s complicated, and we need their interventions to keep us safe. No. They make roads dangerous in the first place by forcing us to live and die by priority, instead of letting us live and let live by equality. 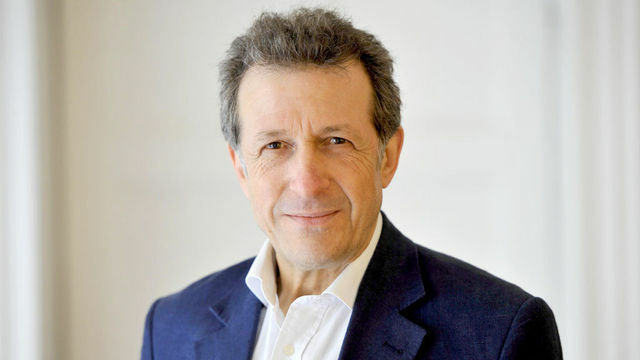 Founded by Martin Cassini, video producer and campaigner, Equality Streets opposes regulation which contrives conflict, dictates our behaviour, and deprives us of choice. To avoid more needless deaths on the altar of the malign current system, reform is vital. Most traffic regulation is a vicious circle incorporating a dead end. It champions AUTOcracy over DEMOcracy. Most urban junctions could be thriving civilised spaces, but they are dehumanised by a traffic system which imposes unequal rights, degrades the public realm, and discriminates against the vulnerable. Government abdicates responsibility for roads policy to technocrats. Technocrats remove responsibility from where it belongs: the people, uniquely equipped to negotiate safe movement. What about the maniacs? Why hobble the vast majority of sensible drivers with lowest common denominator, one-size-fits-all rules devised to catch the hypothetical deviant who operates outside the law anyway? If there are no traffic lights, won’t we start crashing into each other? No. My interest in avoiding collision with you mirrors your interest in avoiding collision with me. In the words of another Lennon McCartney song, “The love you take is equal to the love you make”. Deregulation is not enough on its own. It needs to be combined with driver re-education and a new driving test. The new test would embody the change from priority to equality. It would incoporate cycling proficiency as a mandatory component. Before getting a driving licence, learners would have to get a riding licence. In this way, drivers would appreciate the experience of using two wheels on the road, instead of being distracted by useless, expensive road signs telling them to THINK BIKE! Equally essential components of comprehensive reform: roadway redesign to express equality and a social context; and legal reform, which would put the onus for road safety on the driver. Based on a trust in human nature rather than an obsession with controlling it, Equality Streets could launch an era of peaceful co-existence on our roads, with transformational gains across the board. It could provide kind spending cuts of £50+ billion a year, and growth with thousands of new jobs redesigning and re-engineering the public realm. If you wondered what Franka Potente is doing here, this post is the pretext. Road rage v road sage?